Federal Health Care Fraud Investigation Defense Attorneys - Oberheiden, P.C. What You Should Do When You Are Under Investigation for Health Care Fraud? Federal investigators generally have their eye on a target long before the target ever learns about the health care fraud investigation. Investigators are under no obligation to inform targets when they initiate an investigation. It is not uncommon for the targets of a health care fraud investigation to first learn about the investigation by being served with a search warrant at their homes or offices. 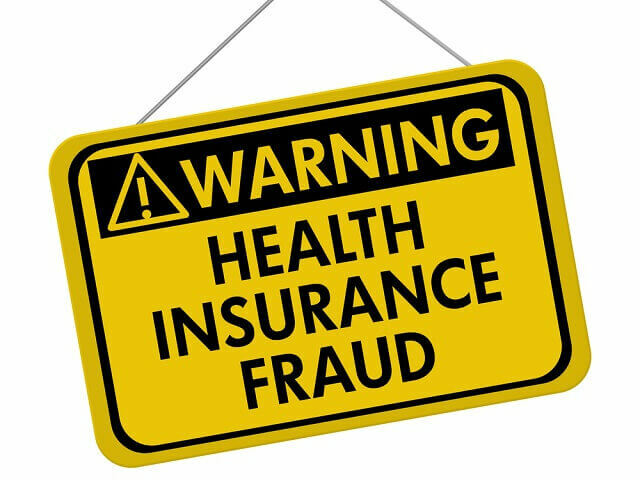 Likewise, health care fraud suspects may receive a “Target Letter,” or a letter from federal prosecutors letting a person know that they are being investigated for health care fraud and inviting that person to cooperate with the investigation. Other indications that someone is under investigation for health care fraud include receiving a subpoena to produce documents or being approached by federal investigators. While prosecutors may issue subpoenas to third-parties as well as targets, if you receive a subpoena, it is a strong indication that you may be a target of the investigations and you should assume that you are a target until proven otherwise. Similarly, even if federal investigators ask to speak with you as a “witness” to their investigation for health care fraud, you should assume that you are actually a target of their investigation. While the investigators may act casual about the interview, this is a tactic that investigators use to catch targets off guard and trick them into revealing incriminating information. Not all health care fraud investigations result in civil or criminal charges. And the actions a target takes during the pendency of a health care fraud investigation often have a significant impact on the outcome of the investigation. If you have experienced any of the above described situations, or if you otherwise believe that you are under investigation for health care fraud, you should take immediate action to protect yourself. Accept that You Are Under Investigation. The sooner you recognize that you are under investigation for health care fraud and start acting accordingly, the more likely you will be able to avoid eventual charges. Doctors, pharmacists, and other healthcare professionals often deny or underappreciate the gravity of a healthcare fraud investigation and, as a result, wait too long to take protective action for themselves and/or their businesses. Do Not Wait to Hire Defense Counsel. You do not need to wait until you are charged to hire defense counsel. In fact, hiring an attorney to guide you through the investigative process is one of the most important actions you can take to optimize the outcome of the investigation for yourself and your business. A defense attorney will help you avoid incriminating yourself during the investigation and will help you make the best decisions for your particular scenario. Inform Yourself About the Investigation. An experienced health care defense attorney will be able to determine whether the investigation is criminal or civil in nature – a distinction that may not be clear when you first learn of the investigation. Additionally, an experienced health care defense attorney will help you assess the specific type of health care fraud you are suspected of engaging – such as anti-kickback violations or unlawful billing violations. Start Building Your Defense. Federal investigators already have an upper hand on time and information by the time a target learns of the health care fraud investigation. The sooner you hire defense counsel and start preparing for your defense, the easier it will be to surmount the government’s initial advantage in your case. Communicate Through Your Attorney. In addition to protecting yourself from unwittingly making incriminating statements, communicating with federal investigators through legal counsel is a smart practical move. Legal correspondences, such as subpoenas, are typically difficult to understand and require technical responses. Allowing your attorney to handle such communications with prevent you from making simple mistakes that can frustrate investigators. You should never speak with federal investigators unless and until you have hired an attorney and the attorney is present at the interview. As noted above, federal investigators often misrepresent the nature of their interviews with targets in an attempt to gleam incriminating information against them to use in the investigation. If you speak with investigators without an attorney, you are at risk of incriminating yourself in the health care fraud investigation or of committing an ancillary crime, such as making a false statement to a federal agent (18 U.S.C. § 1001). If you destroy any evidence regarding your health care fraud investigation, prosecutors will likely consider your actions to constitute obstruction of justice, which – as noted above – is a crime and may result in a prison sentence. Destruction of evidence includes altering paper or electronic files, deleting electronic files – including emails, text messages, and voicemails, and destroying devices that may contain electronic files, such as phones, computers, or personal organizers. You also may not instruct others to alter or destroy evidence, and you may even be liable for failure to de-activate programs that auto-delete files on your computer or other devices. Importantly, obstruction of justice violations may apply even if the evidence destroyed has not been requested by the government. To the extent possible, you should refrain from discussing your health care fraud investigation with anyone other than your attorney, including friends, family, co-workers and employees. Depending on the size of your business or practice, you may need to discuss the investigation with certain colleagues, such as your information technology department. Your attorney will help you navigate who to tell and how, and will likely limit discussion of the details of your case to a need-to-know basis. Any traceable communications, such as emails, texts, or phone records, may be subpoenaed by federal investigators and used as evidence in the case. Additionally, anyone to whom you communicate information about the case may be subpoenaed to testify at either a grand jury proceeding or at trial. Avoid posting about your case on social media platforms such as Twitter, Facebook, Snapchat, or Instagram. Likewise, refrain from discussing your case in online forums, even those where you may be seeking legal advice or information about health care fraud investigations. Federal investigators may subpoena records from your online accounts and use that information as evidence against you. Similarly, investigators may trace your online activity back to you and use it against you. That said, you should refrain from deleting existing posts, as such activity may be considered obstruction of justice. Federal Experience. Health care fraud investigations are conducted through the federal judicial system. Therefore, you need defense attorneys with experience with federal courts and federal procedures. A local DUI defense attorney who mainly practices in state court does not have the type of experience that will help your case. Industry Knowledge. You want an attorney who is familiar with the health care industry and health care regulations, as well as the trends and nuances of health care fraud investigations. Health care law is a unique field and you need an experienced lawyer to defend you in your health care fraud investigation. Accessibility. Being under investigation for health care fraud is stressful enough without worrying about tracking down your lawyer. The right lawyer will be readily available to address your questions and concerns about the investigation. Oberheiden, P.C. consists of experienced healthcare fraud defense attorneys who assist clients across the United States by using our proven defense strategies to defeat government investigations. All of our clients have direct access to senior attorneys, rather than being put off by secretaries, paralegals, or junior lawyers. Defense of Medicare laboratory against investigations by the Department of Justice and the U.S. Attorney’s Office for alleged Health Care Fraud. Representation of a Healthcare Services Company against an Investigation by the Office of Inspector General, the Department of Justice, and the Department of Health and Human Services for Alleged False Claims Act and Stark Law Violations. Representation of a Healthcare Marketing Group Against an Investigation by the Office of Inspector General for Alleged Health Care Fraud. Representation of Physician Investigated by the Department of Justice and the Office of Inspector General for Health Care Fraud and False Claims Act Violations. Representation of Healthcare Organization Investigated by the Department of Justice and the Office of Inspector General for Health Care Fraud. Oberheiden, P.C. is experienced in health care fraud defense. If you are under investigation for health care fraud, call Oberheiden, P.C. today for a free and confidential consultation about your case. Our attorneys are standing by seven days a week, even on weekends, to speak with you about how we may be able to assist you.